Medical device manufacturer Medtronic, which is already embroiled in litigation about a synthetic bone graft product it makes, also produced a pain pump linked to 14 deaths, according to Bloomberg. The device, an implantable infusion pain pump, is known as the SynchroMed II. The U.S. Food and Drug Administration found four flaws with the pump and in late June issued a Class I recall — the most serious recall it can give — because of the potential for life-threatening complications. Medtronic revealed that 14 patients have died as a result of complications since 1996. The most common issue was accidental injection of a pain medication directly into the patient’s tissue instead of the pump. That complication was attributed to 11 of the deaths, Bloomberg reported. Two of the patients died because of a pump blockage and another died from an electrical short, the company said. 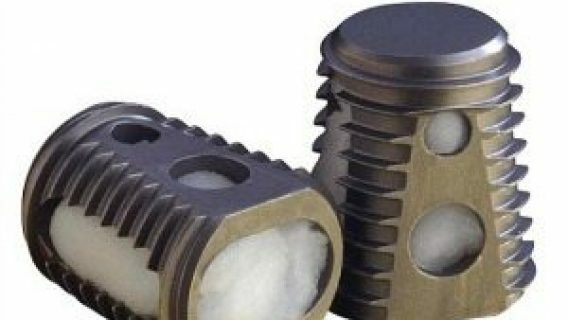 Medtronic, which also makes the synthetic bone graft INFUSE, previously recalled the pumps in 2009 for a battery issue and again in 2011 because of refilling problems. The company notified customers that flaws in the device may affect the safety and reliability of the delivery of medicine from the pump. In August 2012, the FDA warned Medtronic about failure to address safety issues, including corrosion complaints. “We also continuously monitor and share information with physicians when appropriate to ensure they have information to make clinical decisions about choice of therapy for their patients,” company spokeswoman Donna Marquard told the Minneapolis Star-Tribune. Patients using the pain pump have few options for treatment, according go the Star Tribune. Many continue to use the device despite the strong FDA warning. Medtronic stands by its pump. 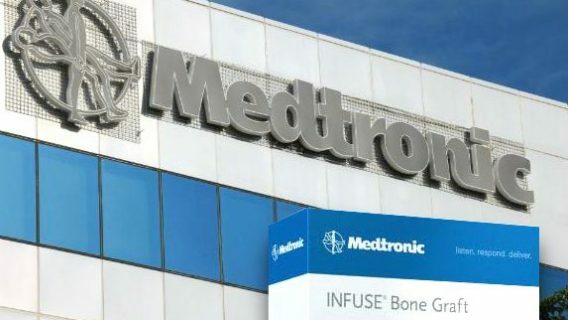 “The SynchroMed Implantable Infusion System continues to demonstrate strong overall reliability, and Medtronic remains confident in its ability to deliver safe and effective therapy,” the company said in a statement. The pump is used to treat pain in patients who cannot take oral medication, have severe spasticity or intractable pain, by delivering drugs directly to cerebral spinal fluid. The device is implanted beneath the skin near the base of the spine and injects medicine through a catheter attached to a needle implanted in the vertebrae. Doctors like Diane Chappuis, M.D., of the Courage Kenny Rehabilitation Institute in Minneapolis are aware of the problems linked to the device but intend to stick with the pump because of the lack of other options. None of the recalls removed the product from the market. Instead, they required patient education and tweaks to the design of the product. One teenage patient, Matthew Taylor, uses the pump to loosen muscles that are too tight and prevent him from running. The family said the benefits outweigh the risk. When the device stopped working, they simply waited for Medtronic to fix it and continued using it. Analysts say that the drug pump is not a large share of the company’s business, and the impact of the pump recall on Medtronic’s revenue should be minimal. Meanwhile, another one of Medtronic’s products, INFUSE, is under scrutiny – from the government, personal injury lawyers and its own shareholders. INFUSE has a history of investigations and fines. In 2006, the U.S. Department of Justice fined Medtronic $40 million for false consulting agreements with doctors and sending them on “lavish trips” as an incentive to use INFUSE. 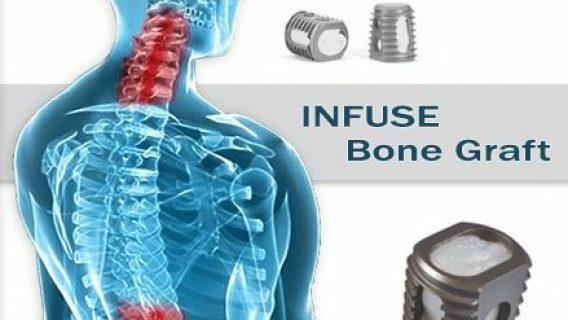 In 2011, independent spine surgeons published a review in The Spine Journal revealing that the benefits of INFUSE were exaggerated while side effects were downplayed by Medtronic’s researchers. Then, in 2012, the company was investigated by the U.S. Senate Finance Committee for paying $200 million to researchers reporting on the safety and accuracy of INFUSE. To quell some of the controversy surrounding the product, Medtronic paid $2.5 million to an independent research team at Yale University to investigate the accuracy of published studies regarding INFUSE’s safety and effectiveness. The independent teams found that INFUSE was not more effective than traditional spinal fusion techniques and may have more complications. It also found that these medical reports failed to publish data on all the side effects associated with INFUSE – including a risk of cancer. These unpublished risks are also at the heart of several lawsuits – from people injured by the product and shareholders. It’s estimated that since the product was released in 2002, it has injured several thousand people. Some of these injured people filed INFUSE product liability lawsuits over product defects and deceptive advertising. Citing the 2013 Yale study, shareholders filed lawsuits accusing the company and some of its officers of engaging “in a scheme with certain researchers to downplay the risks and side effects associated with INFUSE” to inflate stock prices artificially. Anson, Pat. (2013, June 28). Medtronic pain pump blamed for 14 deaths. National Pain Report. Sarvestani, A. (2013, July 1). More shareholders sue over Medtronic's INFUSE bone-growth protein. Mass Device. Walsh, J. (2013, June 27). Doctors, patients say they intend to stick with Medtronic drug pump. Star Tribune. Cortez, M.F. (2013, June 27). 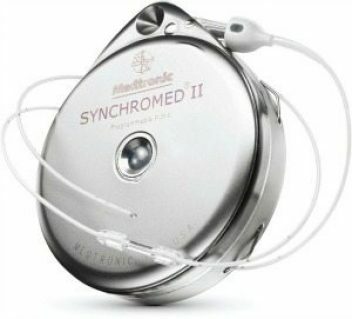 Medtronic recalls infusion pump linked to 14 deaths. Bloomberg.